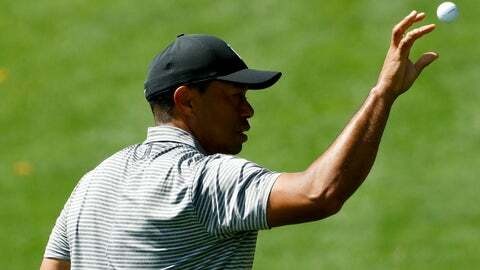 AUGUSTA, Ga. (AP) — Tiger Woods won’t be the only big winner if he finishes on top of the leaderboard at the Masters. A one-day entry for Wednesday’s final practice round — with a face value of $75 — were being offered for $2,500 and up on StubHub and Vivid Seats. Rain, accompanied by occasional flashes of lightning, prompted Masters officials to cut practice sessions on Monday and Tuesday in half and may have contributed to driving up prices. Those who don’t want to buy them online often take their chances with scalpers. Although Augusta National prohibits the resale of tickets, it’s not against state law. So scalpers remain a familiar site on Washington Road near the club during Masters week — provided they don’t conduct business closer than 2,700 feet of a venue. The governing bodies made it clear, however, that players can’t replace a club — primarily the driver — if there is a crack or a scratch.